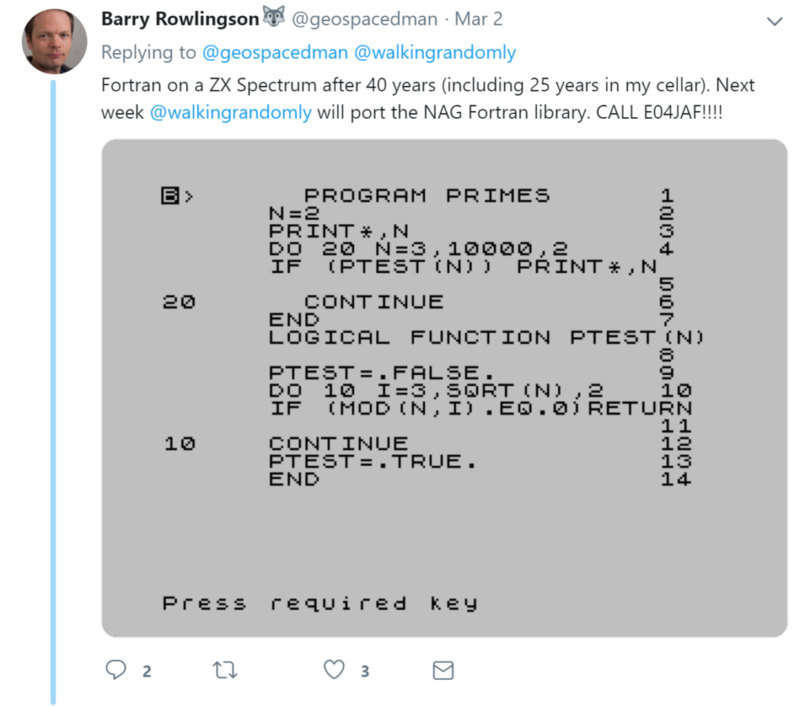 However, that compiler was seemingly lost to history and was declared Missing in Action on World of Spectrum. 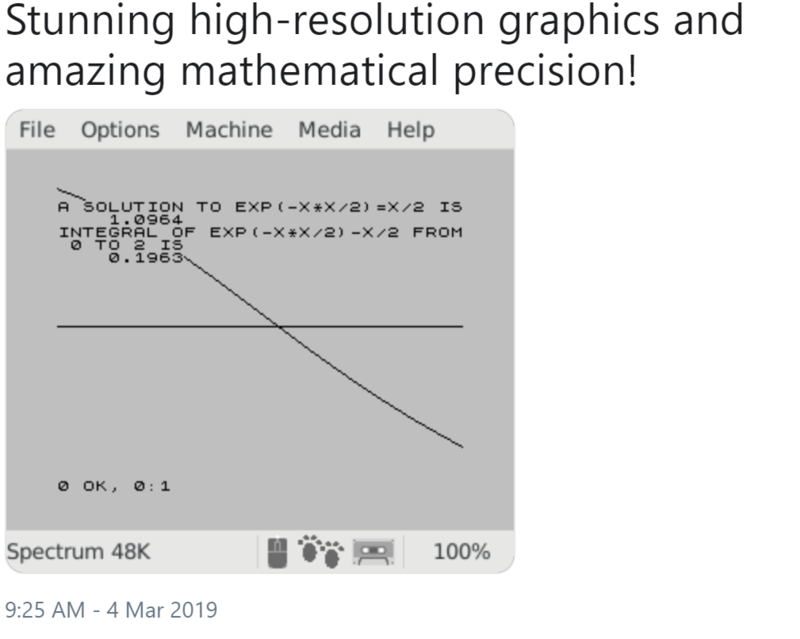 A few of us on Twitter enjoyed reading the 1987 review of this Fortran Compiler but since no one had ever uploaded an image of it to the internet, it seemed that we’d never get the chance to play with it ourselves. 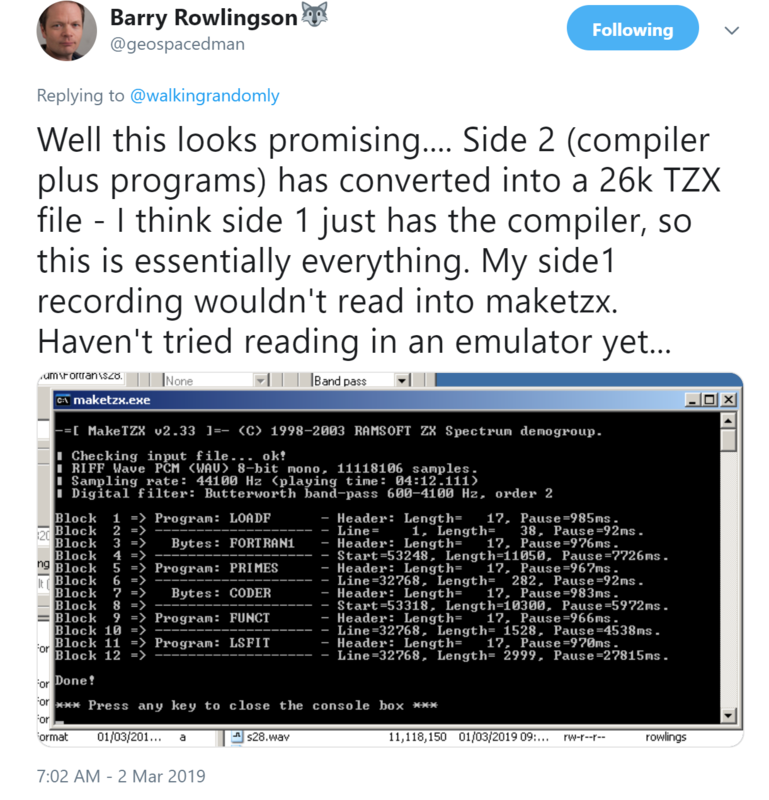 One of the benefits of 5000+ followers on Twitter is that there’s usually someone who knows something interesting about whatever you happen to tweet about and in this instance, that somebody was my fellow Fellow of the Software Sustainability Institute, Barry Rowlingson. 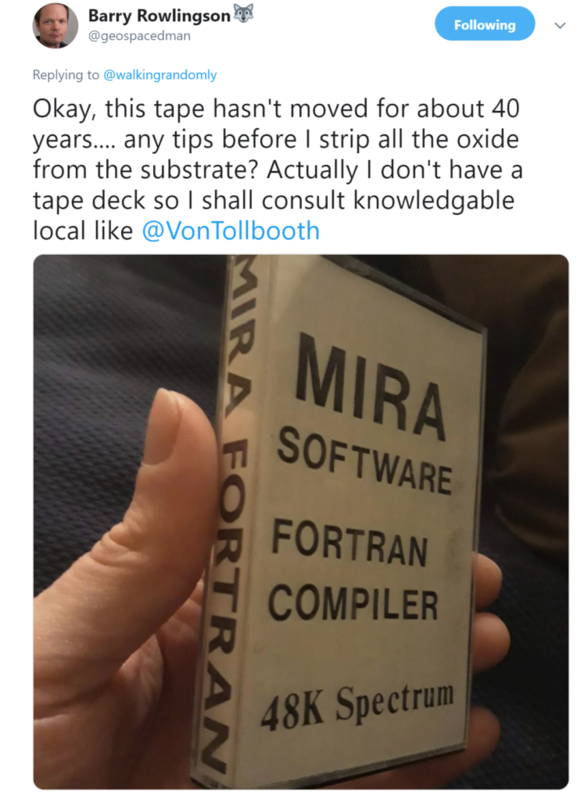 Barry was fairly sure that he’d recently packed a copy of the Mira Fortran Compiler away in his loft and was blissfully unaware of the fact that he was sitting on a missing piece of microcomputing history! He was right! He did have it in the attic…and members of the community considered it valuable. 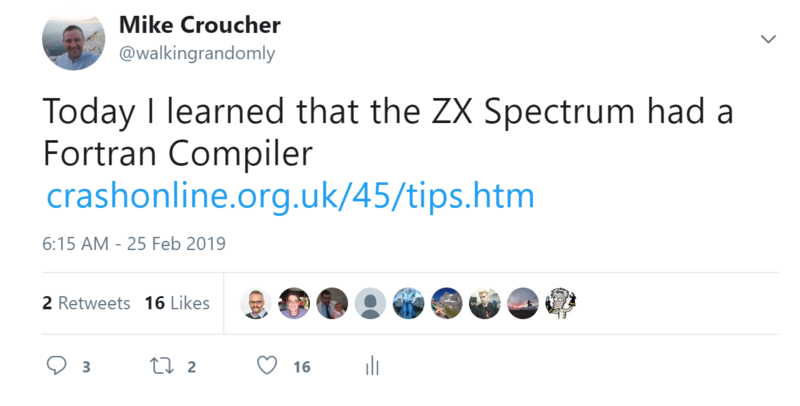 As Barry mentioned in his tweet, converting a 40 year old cassette to an archivable .tzx format is a process that could result in permanent failure. The attempt on side 1 of the cassette didn’t work but fortunately, side 2 is where the action was!